- Khimairas reopened, adopts are allowed again! Khimaira Friesians are a "normal" friesian breed with all characteristics of a friesian and a average height from 15 to 17 hands, but even 18 hands can occur. 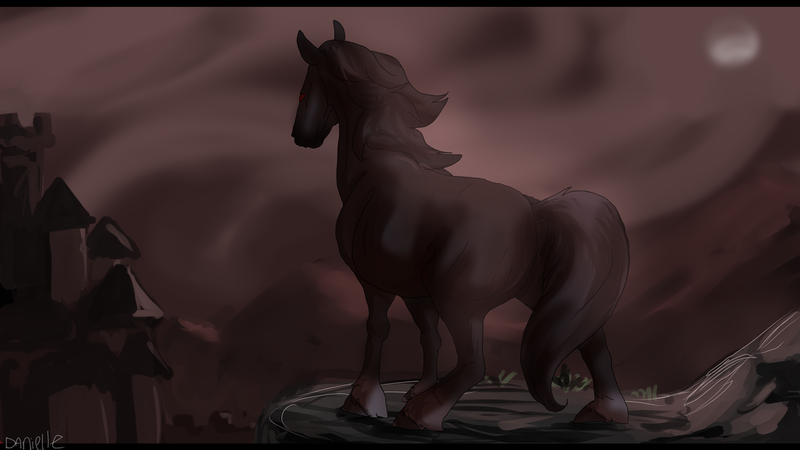 The first born Khimaira was mistaked for a chimera horse. But a genetic test showed otherwise, there wasn't a second DNA but a complete new and unknown gen. Because this gen makes the friesian look like a chimera it was named khimaira. khimaira doesn't produce a complete new dna coat and therefor it can only lighten or darken the base coat of the horse. Till now only the paint khimaira is known that makes the khimaira coloration looks like tobiano, overo, sabino or splash. But we believe that there will be more khimaira variations out there and we still try to breed them. 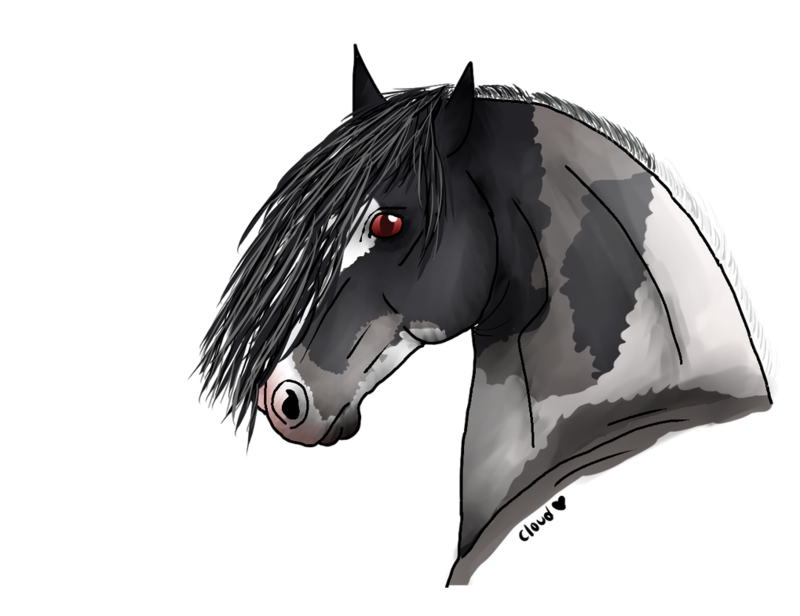 Appaloosas are not known till now, but we have some great friesian mixed horses with appaloosa patterns, so we are sure to deliver them to you in a short amount of time. - i judge fair and square! as long as i don't have a non friesian owner adopt, all participants will still have the same chance in winning, no matter how many horses they already got or how many they already won! - you can only draw khimaira variations that are already known! Khimaira friesians are not restricted to the black base coat, they can have all base coat colorations, but some have a higher rarity then others. but all colors have one in common, they often show a darker dilution. so if you see a friesian with a lighter dilution it often seems to have at least 1 pearl gen. Friesians don't have facial or leg markings, the same goes for khimaira friesians. Last edited by NeriHyuga on Sat Apr 20, 2019 11:58 pm, edited 388 times in total. Last edited by NeriHyuga on Sat Jul 28, 2018 9:23 am, edited 47 times in total. Last edited by NeriHyuga on Mon Feb 18, 2019 10:23 pm, edited 75 times in total. Last edited by NeriHyuga on Mon Sep 18, 2017 9:14 pm, edited 20 times in total. Last edited by NeriHyuga on Thu Oct 04, 2018 11:04 pm, edited 10 times in total. Last edited by NeriHyuga on Wed Oct 04, 2017 7:56 pm, edited 16 times in total. "what chu lookin at, hub?"